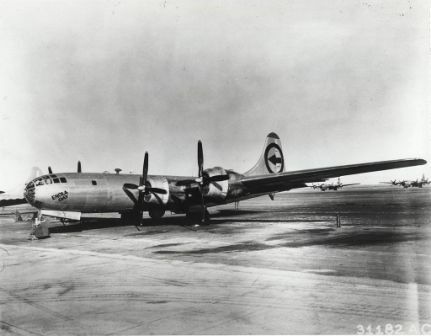 The German atomic bomb project was the research project undertaken by German physicists, with the goal of using the radioactive substance uranium for the ultimate power. 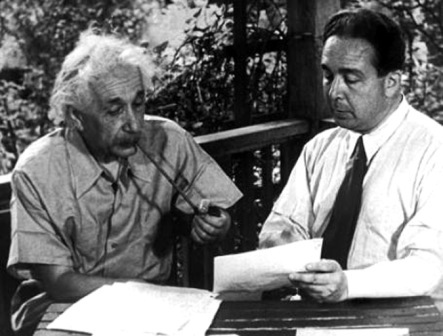 Leo Szilard, Albert Einstein and Niels Bohr greatly boosted the British and American efforts in nuclear weapons research after becoming aware of the German atomic bomb project. The Manhattan Project is the famous research project in the U.S. which led to the atomic bombings of Hiroshima and Nagasaki, but Germany could easily have been the inventor of this destructive force. When the Germans first occupied Czechoslovakia in 1938, uranium was freely exported. However, the Hungarian-American Jewish physicist Leo Szilard realised in 1939 that uranium ore had suddenly appeared on a list of items banned from export from Czechoslovakia. This raised huge concern that German physicists could be developing an atomic bomb, as nuclear fission had been discovered by German physicist Otto Hahn in 1938. 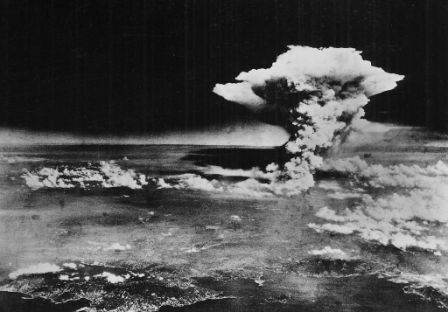 The idea of atomic bomb research was to use an unstable radioactive material (uranium in this case) to produce a fission reaction, resulting in the radioactive atoms ‘splitting’ apart which would cause the release of a massive amount of energy. Szilard enlisted the help of the German-born Jewish physicist Albert Einstein to alert the U.S. president Franklin D. Roosevelt of the impending threat to the Allies from Germany. 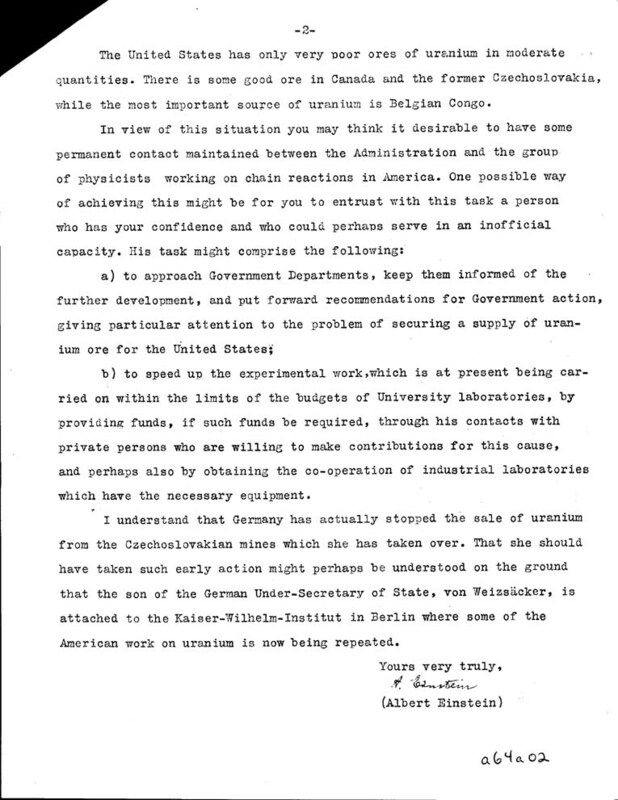 Together, Szilard and Einstein wrote the ‘Szilard-Einstein letter’ to Roosevelt (the letter is at the bottom of this page). The last paragraph on the second page is of particular importance. 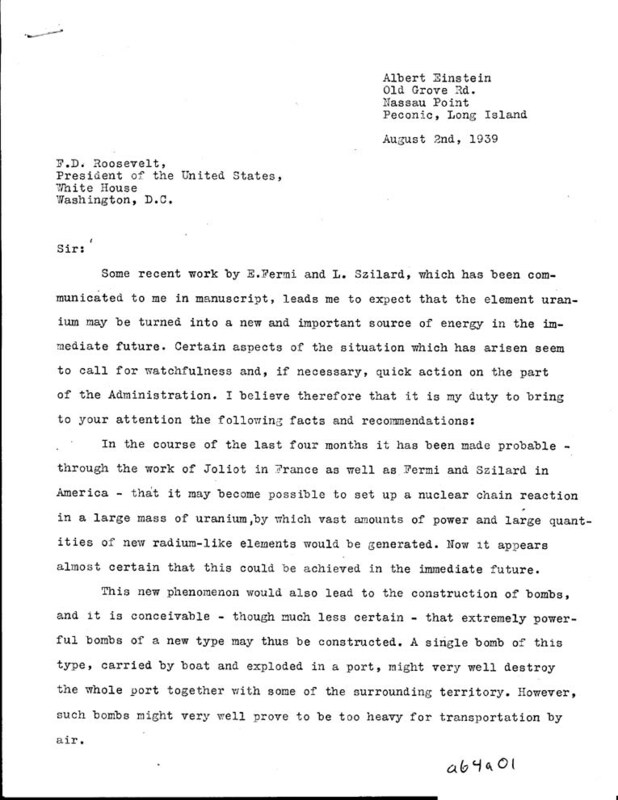 Following this letter, the U.S. research into uranium (the Manhattan Project) was approached with more urgency. 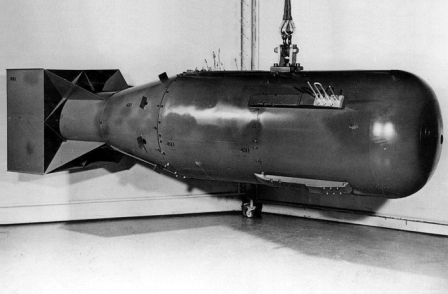 ‘Tube Alloys’ was the nuclear weapons research and development programme in Britain, which began before the Manhattan Project. Roosevelt succeeded in persuading Churchill to allow Tube Alloys to be incorporated into the Manhattan Project in 1942, when the Tube Alloys minister Sir John Anderson (Anderson air-raid shelters were named after him) advised Churchill to do so. Danish physicist Niels Bohr had been approached by German physicist Werner Karl Heisenberg to attempt to recruit him to the German atomic bomb project. At this meeting, Bohr was shown drawings of the German atomic bomb idea by Heisenberg. Bohr fled the German-occupied Denmark (due to his mother’s Jewish heritage) to Sweden in 1943 and from there he was flown to Britain. Bohr joined Tube Alloys in Britain, where he shared the drawings shown to him by Heisenberg, and contributed towards atomic bomb research of the Allies. 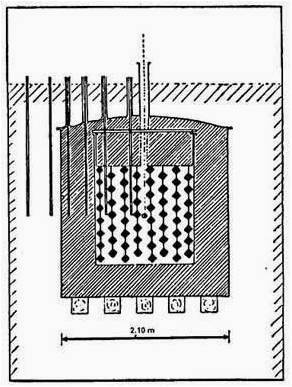 A diagram showing the idea behind the German nuclear program (German Nuclear Program (3)). This could be similar to one of the drawings shown to Bohr by Heisenberg. Manhattan Project: an interactive history. German Nuclear Program. M. Ragheb. 2012.